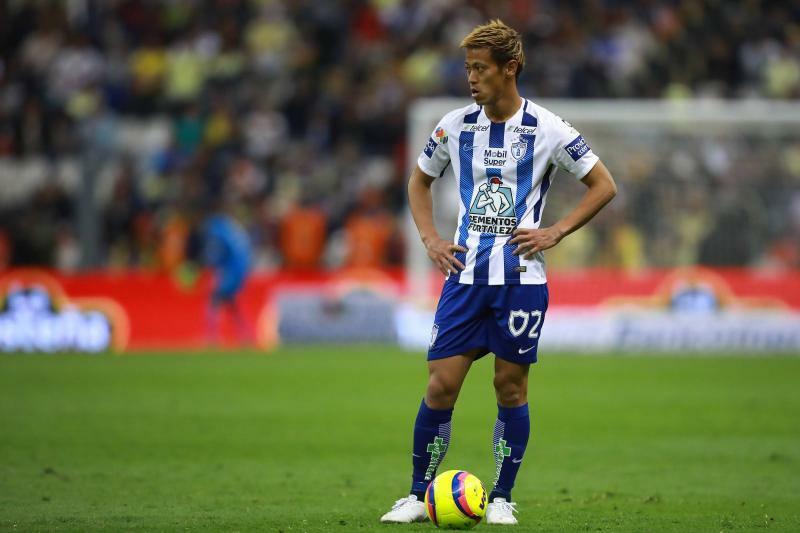 Pachuca striker Keisuke Honda netted his third goal of the Liga MX Clausura on Saturday, giving Japanese fans hope that the midfielder can work his way back into the Samurai Blue squad for the team’s upcoming March friendlies as well as the 2018 FIFA World Cup. The former Milan star delivered his sixth league goal from nearly 30 meters out, drilling a free kick past helpless Morelia goalkeeper Sebastian Sosa to tie the game at 2-2. Short-handed Pachua eventually lost 3-2, dropping to 14th in the Liga MX table after five matches. Honda, who represented Japan at the 2010 and 2014 FIFA World Cup, watched their Russia-clinching August 31 win against Australia from the bench and was not called up for the last two international periods. While head coach Vahid Halilhodzic cited the veteran’s unsteady form as reasons for the omissions, he will not have the same excuse if Honda continues to rack up goals and assists this winter. note of Honda’s momentum, which has made him one of the best players in the early stages of the Liga MX season,” Mexican football columnist Cesar Hernandez wrote for Football Tribe Japan. Japan are reportedly set to face Ukraine and Mali in Belgium during the March international break, which will be the last change for players to impress ahead of squad announcements for Russia in May.